We see the same pattern every year as soon as high school volleyball nears the end of the season. Volleyball girls seek out training with the goal of increasing their vertical as quickly as possible before club tryouts. Parents and athletes are often misled and misinformed about how volleyball players can increase their vertical and athleticism while reducing their chance of injury. A blanket approach of simply jumping more often, or strapping the athlete down with bands, wastes precious time and the athlete’s effort with subpar results (if any). After testing hundreds of volleyball players across all levels we train – middle school, high school, and college – our girls increase their vertical by an average of 3 inches over the 8-12-week winter “offseason”! Strict testing, consistent instruction, and programming are needed to deliver proven results like this in a short time-frame. Volleyball involves a huge number of jumps and landings, and the vast majority of injuries occur during landing and deceleration. We teach our athletes to “land the airplane” before they take off, and our volleyball girls have to be even better at this due to the demands of the sport. They have to perform various activities midair and land short of the net – something like landing that plane on an aircraft carrier. This is our first focus and the base of the development pyramid. We drill the technique of landing and we begin our strength training with slow, controlled lowering to build the necessary structures. Obviously jumping is an integral part of volleyball, but many athletes don’t train it as a skill. While they may spend hours on hitting or serving very few girls spend any time on HOW they jump and land. We have a step-by-step learning progression to bring them up to speed, and we train limiting factors like core stability and ankle stability to fill in the gaps. Every jump is a simple physics situation – the force put into the floor must exceed the force gravity puts on the body. Being a skilled jumper and not wasting force with floppy mechanics helps immensely – but ultimately those who want to jump higher must put more force into the floor. When they can land well and jump effectively, we get our girls strong and teach them to show that strength quickly. Training to jump higher is not just playing more volleyball, nor is it just aimlessly jumping more. If those strategies worked, then all the girls that play volleyball year-round would be jumping out of the gym! Instead, their physical capabilities actually DECLINE as they play more volleyball. Only solid recovery and training will get them those coveted additional inches over other girls and keep them on the floor. Watch the video below to see some of our favorite movements! We hope this helps as begin you club seasons! 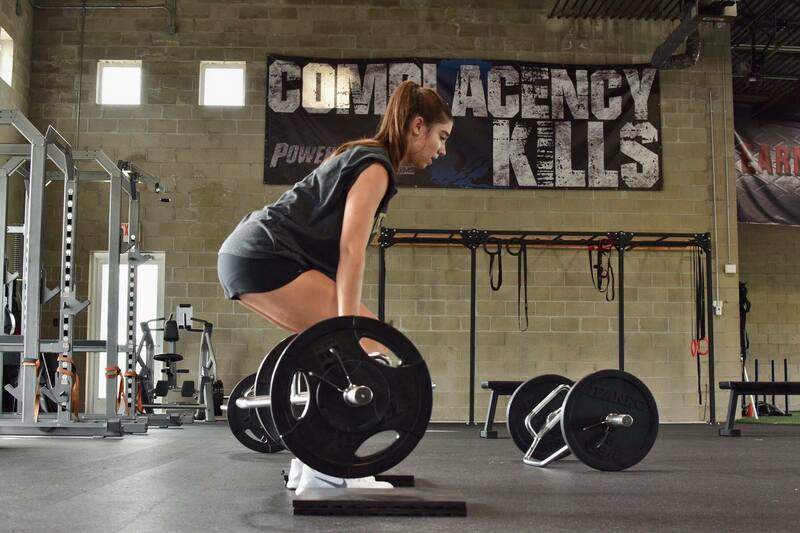 Are you interested in training at PowerStrength? Click the button below to schedule your Free Trial session. From there, we make it easy to find the best training plan for you during your club season!